Our wedding travel agents tackle some of your most frequently asked questions here! When Should We Start Planning Our Destination Wedding? While it’s never too early to start dreaming, we recommend starting the planning process about 12 months before your wedding date. If you’re planning your wedding over a holiday or high travel season, we may want to start the process a little earlier. What are the best locations for a destination wedding? 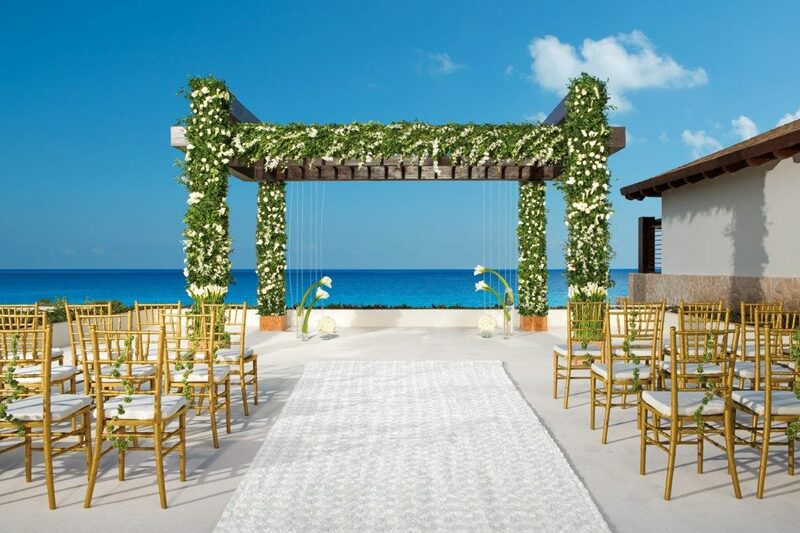 There are so many beautiful destination wedding resorts—it’s hard to choose just one! 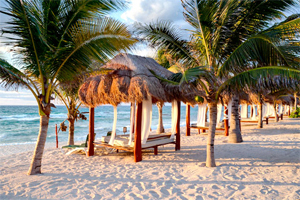 The most affordable options are Mexico, Jamaica, Costa Rica, and the Dominican Republic. We also offer destination weddings in St Lucia, Antigua, Hawaii, Tahiti, and some destinations in Europe. We work with a variety of great hotels. 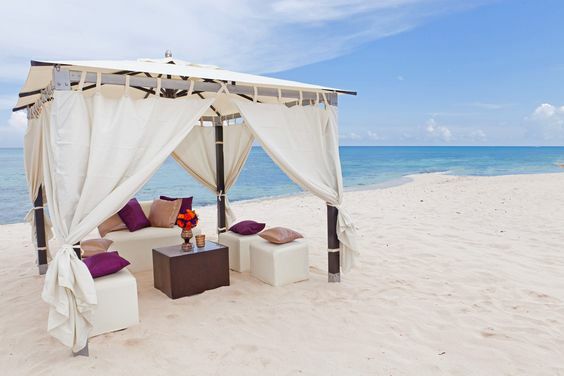 You can see some of our favorite destination wedding packages here! 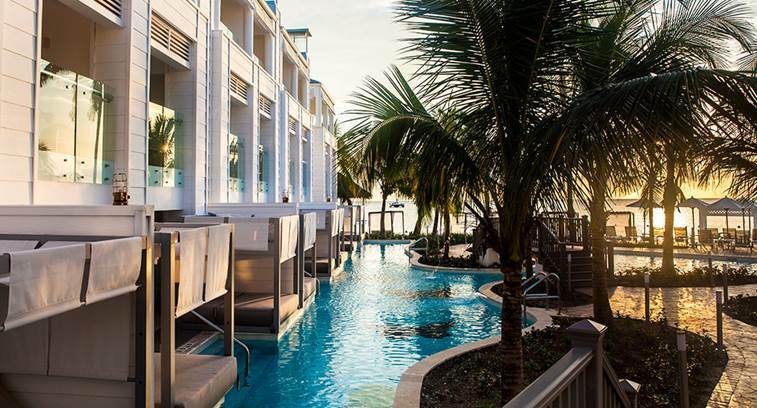 WHAT'S INCLUDED IN A DESTINATION WEDDING RESORT PACKAGE? What makes our beach resort wedding packages so amazing is that everything you need is in one place! 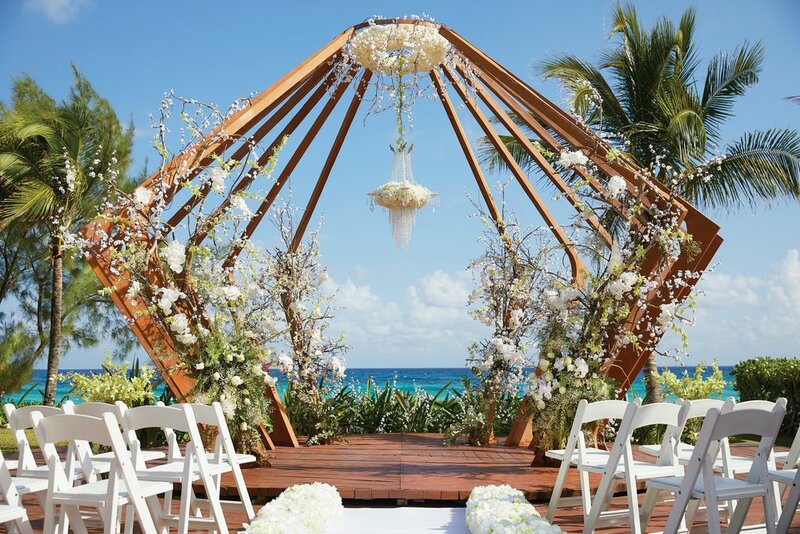 Most resorts include the services of a wedding planner, the ceremony location, decor, cake, and a variety of reception packages! Rates vary by resort and destination. We can help you sort this out during the planning process. 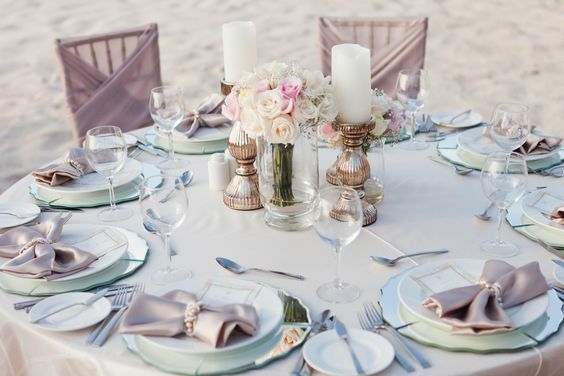 The cost of beach resort wedding packages varies based on the number of guests in your party and the inclusions of your reception. You can have a lovely wedding for 50 to 75 people for $3000.00 to $10,000.00. But again, it really depends upon the size of your guest list and your inclusions. 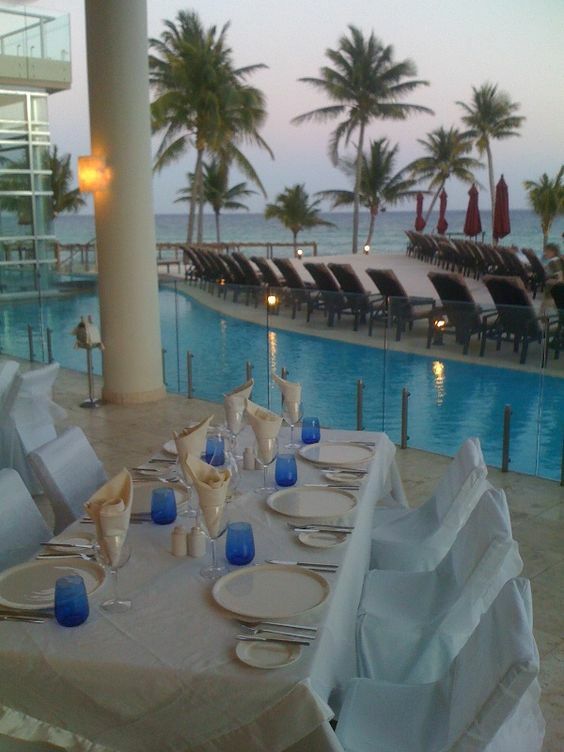 The resorts we work with offer packages for every party size and budget. 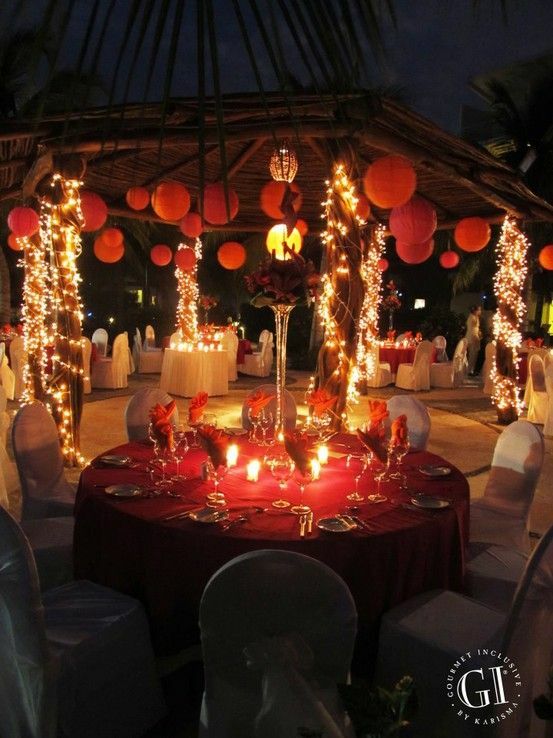 We’ll help you determine which resorts work best for your party size and budget. How Does the Ceremony Planning Process Work? 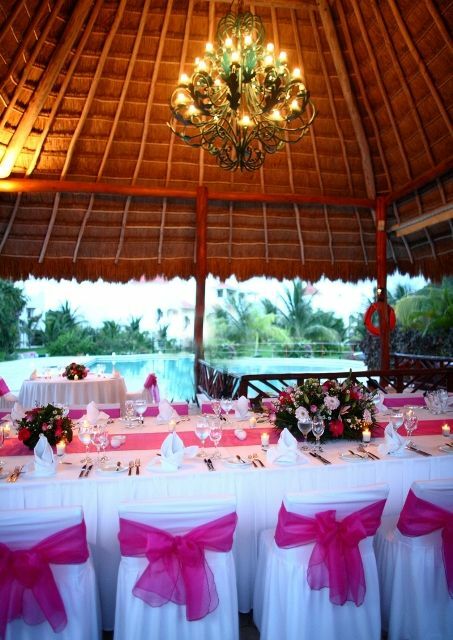 Once your wedding date has been confirmed with the resort, you will be assigned to a wedding coordinator. 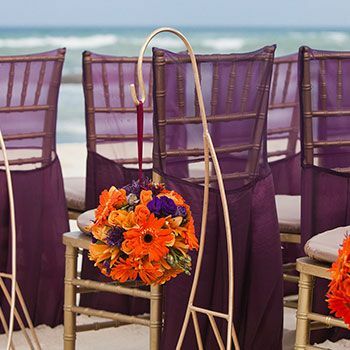 The wedding coordinator will help you select a ceremony location, flowers, colors, and more. We find many coordinators want to see your Pinterest boards to understand your vision for the big day! So don’t hesitate to share this information with them! Does It Cost More To Book With You Than Doing It Myself? 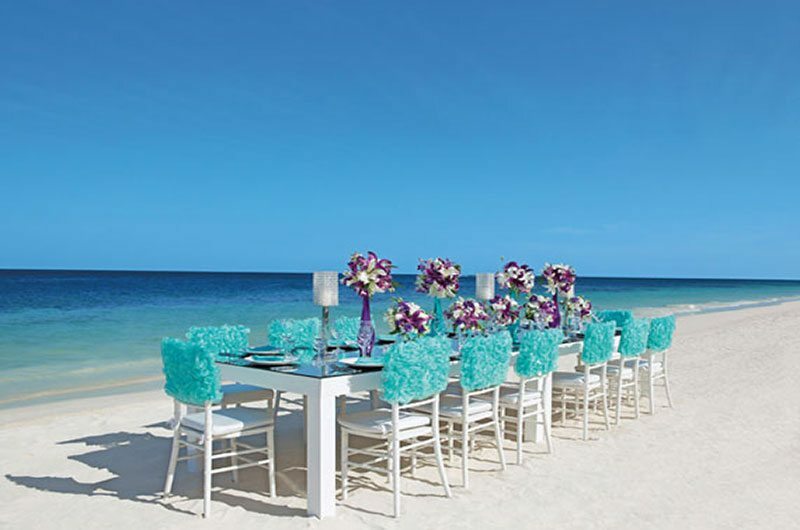 Booking with our destination wedding planners doesn’t cost more than doing it yourself. 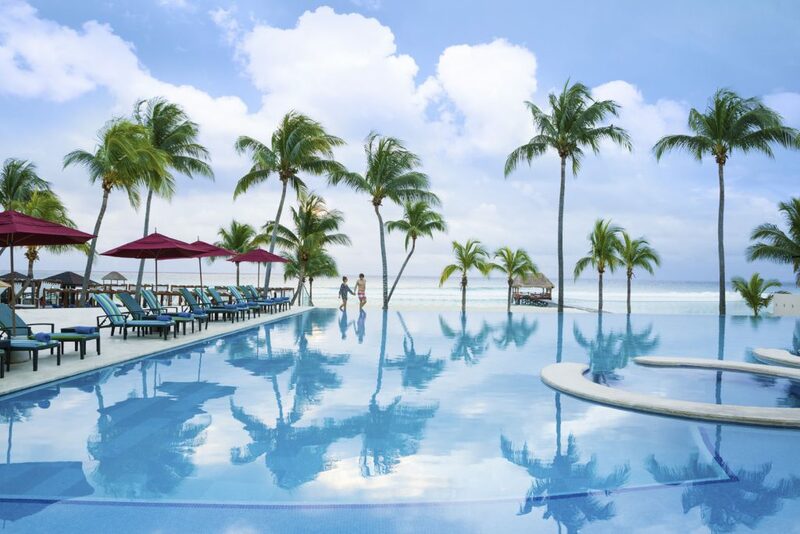 All travel agencies, even online agencies, are paid by the hotels after you’ve checked out. Our rates are the same or better as what you’ll see listed on the hotel’s website. And with wedding groups are typically eligible for a group discount, based on party size. Group discounts typically apply to groups with 10 rooms or more. Group discounts can be very generous! But the average is $50.00 to $100.00 less than the published rate. Larger groups can also qualify for complimentary rooms. We’ll cover this in more detail during the consultation. This is really up to you! The bride and groom typically pay for their own travel, as well as the ceremony and reception. Guests usually pay for their own travel. It’s not uncommon for the bride & groom to upgrade their parents’ room or flights. You can find a lot of great destination wedding resources here. Do I Really Need A Destination Wedding Planner? If you’ve ever planned a trip for yourself, you probably spent countless hours online doing research, reading reviews, comparing prices, and in the end still had that nagging feeling that you may have missed something. Now imagine doing that for 50 people. Here’s the thing-you’re a bride! Planning a ceremony and reception is a huge undertaking! You’ll want everything about your big day-the flowers, dress, ceremony- to be perfect. There’s no reason for you to take on the additional stress of trying to make hotel and flight reservations or dealing with the awkwardness that comes with mixing family, friends, and money while planning the biggest day of your life. So, what if you could have someone else tackle the travel for you and your guests? Someone who understood the flight schedules, (and would know what to do if someone’s flight was cancelled), someone who could explain all 26 room categories at the beachfront resort you’re considering, someone who could negotiate the group contracts, answer all of your guests’ questions, make sure they had trip insurance, and a way to get to the hotel from the airport? Wouldn’t it just make sense to let someone with 12 years of destination wedding planning experience do it so that you could focus on being a bride? While our destination wedding planning services can’t stop your guests from showing those embarrassing family photos at your wedding or doing the Electric Slide, they save you countless hours of research and a lot of undue frustration by managing your event. We create a destination wedding timeline: At Bliss Honeymoons we’re crazy for checklists. We’ll take you step by step thru the planning process from start to finish. We negotiate the group contracts: You could spend days requesting information and never get a response from half the hotels you contact. We not only negotiate a great group rate but if there are freebies, like room upgrades or private cocktail parties, we’ll grab those as well! We manage your guest list: We take your guests through the booking process from start to finish. You’ll be able to see the status of your entire guest list anytime, online. And your guests will feel completely at ease with the booking process. We manage payments: Friends, family, and money just don’t mix. We manage all deposits and final payments and ensure your guests get the best value for their dollars. We manage flight schedule changes: 5 of your wedding guest couples are departing from Detroit, and Delta just decided to discontinue the non-stop flights they booked 2 months ago. Would you know what to do? Managing flight schedule changes probably isn’t something you have time to tackle, but it’s something we do every day. HOW CAN I GET MORE INFORMATION ABOUT YOUR DESTINATION WEDDING PLANNING SERVICES? Are you ready to get started planning the best trip you’ll ever take? Just click here to meet our agents and schedule a free consultation. 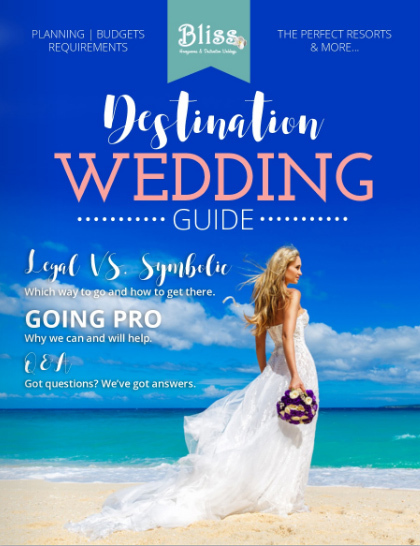 You can also download a free copy of our destination wedding planning guide here! Are you a guest looking for one of our current destination weddings? Looking for more great destination wedding tips? Find our best planning checklists and tips here!